Dear colorists, today’s Artist Spotlight features our fan Minneke Binnemans! 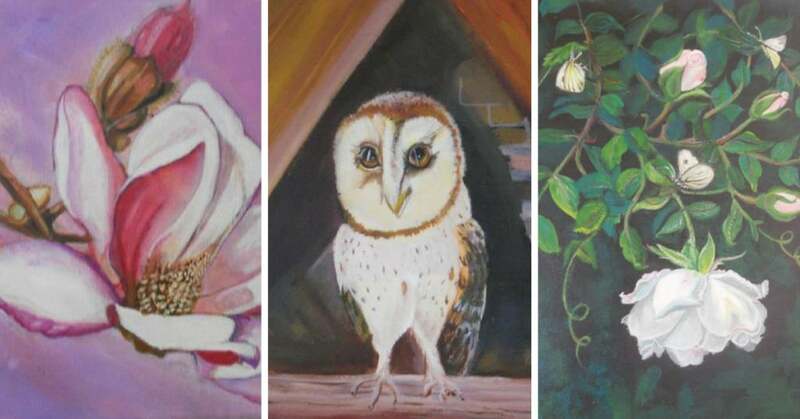 She studied art for a long time and created lots of works in pastel, acryl and aquarelle. Now she colors for fun and likes to exchange tips with fellow colorists. 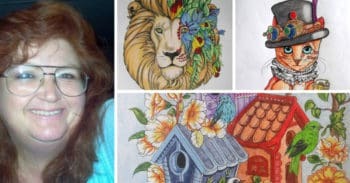 Read this interview and support Minneke by leaving your COMMENTS under THIS POST and by SHARING her amazing story on Social Media. I studied art for 7 years in school. l got to color 1 comić book ( Zilverpijl) after school. 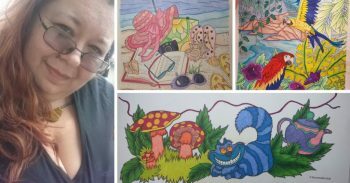 This year I won 2 competitions in coloring groups. Now I am older and I just color for fun. It keeps me relaxed. It is my hobby and I like to spend time on coloring. I learn from other colorists so I can color better. Faces, animals, and nature. I recently found steampunk which is now a challenge for me. I find the style amazing. They use metal and other materials so I have to find the right colors. 4. 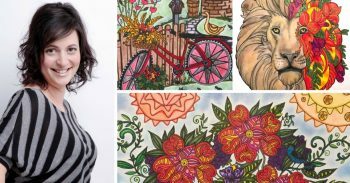 What is your favorite coloring tools? My favorite is watercolor (Windsor & Newton, Van Gogh). But now I use pencils too. My favorite pencils are Faber-Castell. Faber-Castell is for general use, for faces I use Prisma Premiums and for old skool drawings I use Derwent pencils. I color mostly when my work in the household is all done. In the evening I sit at the dining table with a light above the drawing. 6. What would be your advice to beginner colorists? 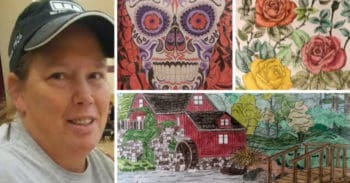 Most people are afraid to begin coloring. They just need to do it like they feel it. If it’s not to your liking then start all over. Just know that coloring takes a lot of time and you can spend more than 1 day on a drawing. 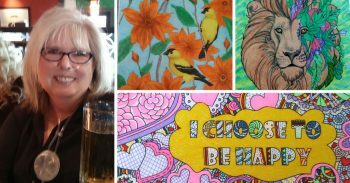 You can also join adult coloring groups and share tips with other colorists. 7. 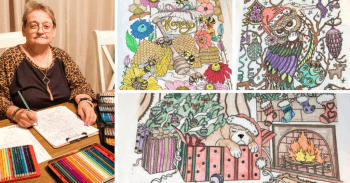 How did you learn about Favoreads coloring club? I discovered Favoreads on Facebook. I was looking for free drawings. I liked Favoreads so much that I have joined the group. 8. Why do you like coloring pages from Favoreads? There is enough choice in style and subjects. That is what I like so much. 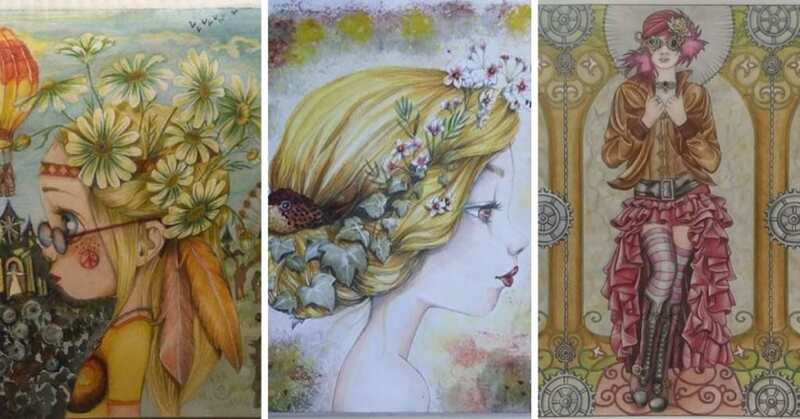 Stunning Art by Minneke Binnemans! Minneke is extremely talented. 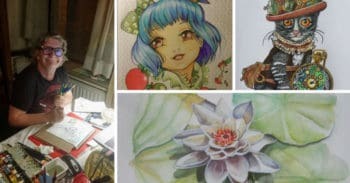 She sent us some of her original works in pastel, aquarelle, and acryl. These are mind-blowing masterpieces and we are super excited to share them with you today. 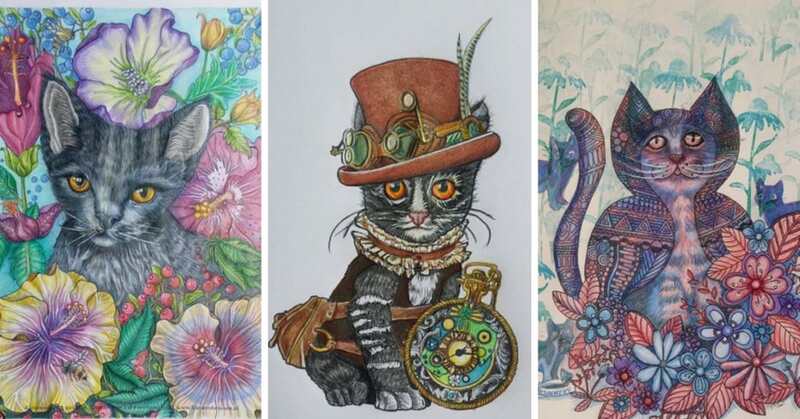 Here are some of Minneke’s coloring submissions and they are all absolutely gorgeous. 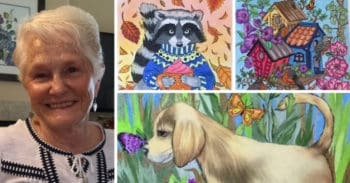 She can masterfully color animals and people. We truly admire her talent!